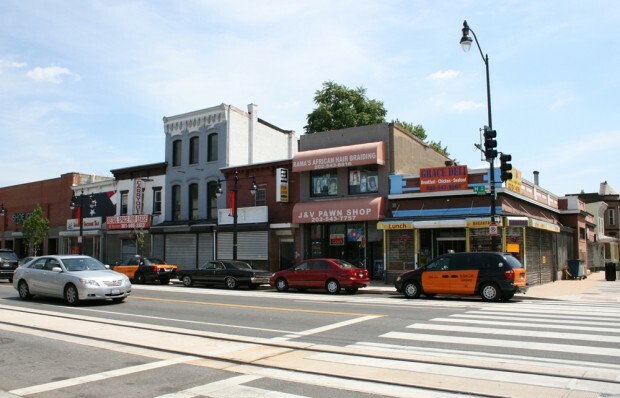 The corner of 7th and H streets NE has a mix of small, longtime businesses and vacancies. 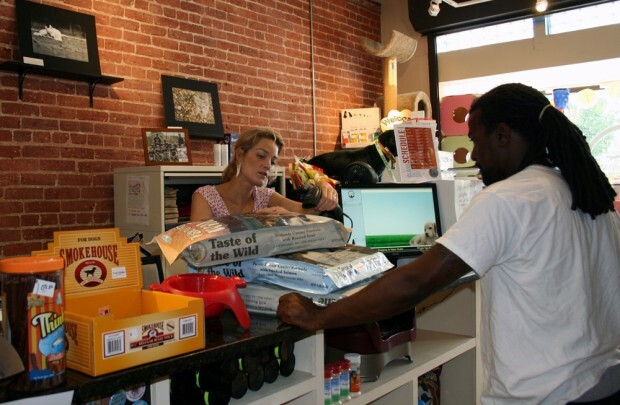 Anna Collins, co-owner of Metro Mutts at 5th and H streets NE, rings up a customer. Metro Mutts is located at 5th and H Street, NE, on the same block as several small business and some vacancies. Terri Hill, manager of A Fresh Look by Janice & Company at 7th and H streets NE. Michelle Jones, owner of A.S.P.I.R.E. health store at 7th and H streets NE. A number of new businesses have populated formerly vacant storefronts along the upper end of H Street. But they're mostly restaurants and bars. Much has been made of the changes along H Street NE as the corridor continues its transformation from a primarily low and middle income black community to one that is wealthier and whiter. Trendy bars and restaurants are increasingly opening in vacant storefronts, attracting diverse patrons en masse during late night hours. But the crowds are nowhere to be seen during the day. A new D.C. grant program is intended to draw more retail options to the street, creating an H Street that’s as bustling during the day as during the evening. That’s welcome news for many existing business owners who want more people on the streets and in their shops. “You just don’t want it to be all bars and restaurants,” said Anna Collins, co-owner of pet store Metro Mutts at 5th and H streets. Starting this fall, the District will have $1.25 million to offer new or existing retail businesses that are “small and unique” along H Street. A grant application, currently in development, will be available in September. Business proposals that include “entrepreneurial and innovative retail element[s]” will be given special consideration, according to the District law that created the grant. And the program is slated to have more cash to offer over the next five years. The tax revenue generated from the increased retail will be invested back into H Street projects. There are rules as to who can apply. Retail shops are eligible, excluding liquor stores, restaurants, bars, barbershops, hair salons and phone stores. 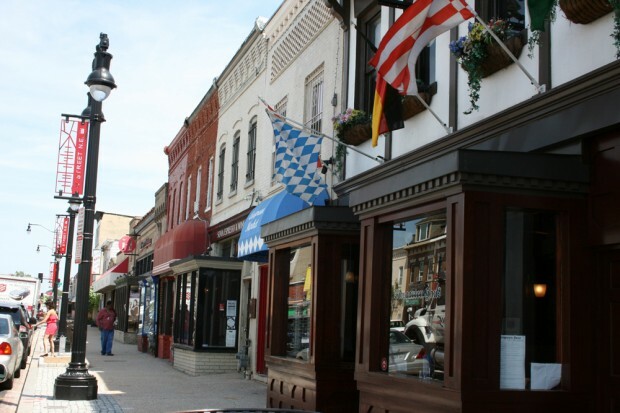 The businesses must take up at least 1,200 square feet and be located directly on H Street between 3rd and 15th streets. And businesses will only get money if they create jobs that employ D.C. residents. Although existing businesses can apply, they won’t get money offering the same exact service, Allen said. They have to propose something that creates jobs. The program has already solicited some interest. Local resident Loren Copsey has plans to open the area’s first bicycle shop in February 2012 and plans to apply for grant funds to do so. Indeed, many existing businesses welcome the prospect of more retail along the strip. But new retail could serve a variety of clientele. Metro Mutts is the only pet store in the area, and Collins said her clients include longtime residents and newcomers living in nearby luxury, pet-friendly condos. The same goes for Michelle Jones, owner of health food store A.S.P.I.R.E. along H and 7th streets NE. Many of her first customers were seniors who couldn’t find apple cider vinegar and other health products within walking distance. Jones wants to see more clothing and groceries stores along the strip. “Lord knows we don’t need more liquor stores,” she said. Even if the strip’s vacant buildings don’t all get filled with retail, the grant program may help create jobs in D.C., which has a higher unemployment rate than the national average. Jones has had a number of residents ask her about jobs, but she said her three-month-old business needs to expand before she has enough money to hire. Charles Allen probably hasn’t ever owned or leased commercial property. The asking price per square foot is what it is and the landlord doesn’t care if the lessee has a liquor license or not. Brokers don’t quote different prices based on use. The revenue from alcohol sales helps boost gross receipts to compensate for the high property taxes and other taxes and costs associated with doing business in the city. It’s hard to match those revenues selling books, t-shirts, and housewares unless a retail business has a high volume of sales at full markup most days of the week. H Street still doesn’t have the volume of foot traffic to make that possible. realityisapain: I think you’re misunderstanding Charles Allen’s statement. You’re right that the asking price per square foot is whatever it is, and doesn’t adjust based on potential renter. But where does that number come from? It’s based on what the landlords think they can get; and at this point, establishments on H with liquor licenses will have higher revenues than those that don’t, so their higher ability to pay will set the going rate. I think that’s all he’s trying to say.